“Look at the mind that is free of subject – object duality!” This is the point that we will contemplate. When you do not grasp at subject – object duality, when you see the nature of the mind and rest in this nature, all dualistic fixations will diminish naturally. How are we to meditate on this? There is an easy way to contemplate this. For example, there are two people, two friends who love each other. Ordinarily, there is the thought that this is ‘me’ and this is ‘him’. But when you look further into the truth of that, you will see that what you call ‘me’ and what you call ‘him’ is really the body; we appear in the form of two bodies, but the bodies will be destroy in the end when we die. It will be burn away by fire or carried away by water. The body is not the ‘me'; the body is impermanent, it is compound and therefore we can’t find the ‘me’ in the body. We may then think that the ‘me’ is the mind, so you should look inside your own mind and try to find the ‘I’, the ‘me’ in the mind. When you look inside your mind, there is no ‘I’ to be found there, but there is love that you have for your friend. Then, a very strange feeling will arise. You will think: when mind watches mind and looks at the love that is naturally there, although you cannot see it, there is a pervasive love. It is just like space but you can’t obtain it, you can’t find it. It has no form. When you look at the feeling of love that you have for that friend, your love and his love are the same. Hence, we are actually non dual, we are not separate. You love that person and that person loves you. This love is the same. Our bodies will be destroyed but there is only one mind. Our minds are one, just like there is only one thing called water in the world. When we understand this, we will understand the non-duality of subject and object of self and others. This is how we should first meditate: thinking of two people and realizing that we are actually one. Although our bodies appear as two, our mind is actually one. If we meditate in this way, we can understand our true nature. 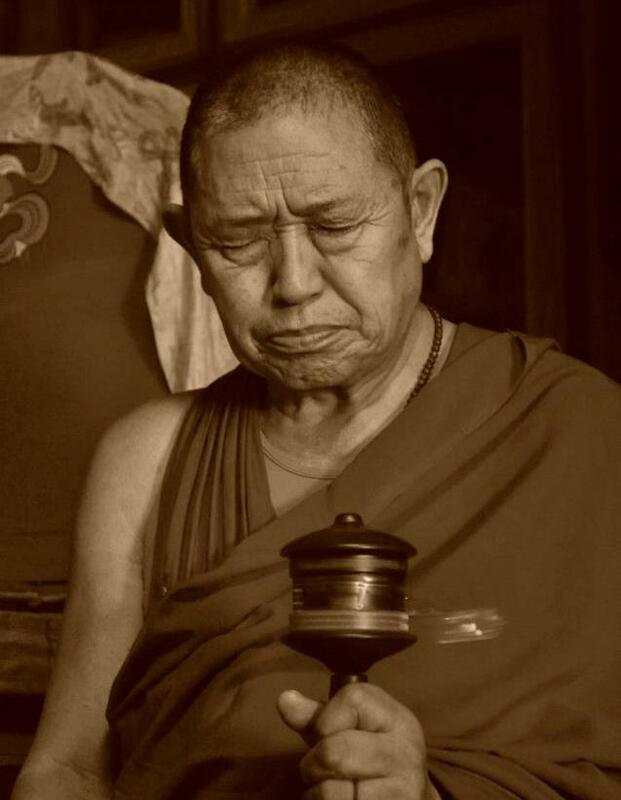 You are so fortunate to have met the Dharma with devotion. The essence of Dharma is the two bodhicittas: relative bodhicitta is the noble mind focusing on others; ultimate bodhicitta is emptiness – looking at your own mind. If you find it difficult to see your own mind, it is due to obscurations which come from afflicting emotions. Transcendent wisdom dispels afflicting emotions. 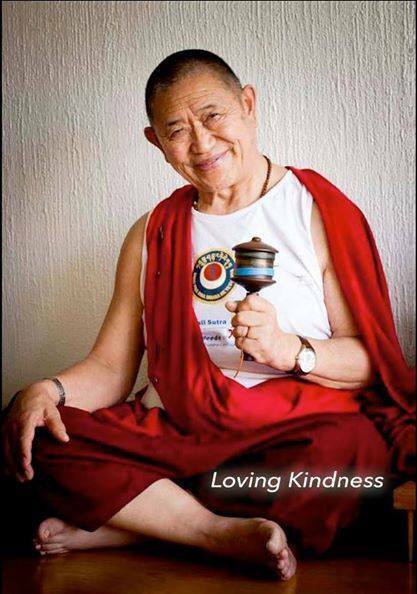 That wisdom is the blessing of the lama. To receive the lama’s blessing, you need the sun of devotion, which in turn gives rise to compassion. A drop of tear by the force of devotion purifies or dispels a mountain of obscurations. Generally speaking, Buddha and sentient beings are like one river. Buddha, however, realizes the nature of the self and, free from doubt, sees that all the activities of samsara are like a dream or illusion. Buddha’s mind abides like the nature of space, like a river that cannot be frozen. Sentient beings, on the other hand, have not realized their own nature, and their minds are influenced by conditions which cause afflicting emotions. This is like meeting very cold water and freezing, the ice then becoming like a rock that cannot be broken. If the heat of devotion and compassion melts this frozen mind, one will realize there is no difference between oneself and Buddha. Therefore, the single most important source of blessings is devotion. It is like a hundred rivers going under one bridge. When you look at your mind just after strong devotion, that awareness is the cause of attaining enlightenment. Within that, look again at the very face of awareness. It dissolves into emptiness – both subject and object. It will not last long, so meditate for a short time, again and again each session. This will dispel obstacles and enhance your meditation. Devotion is the single essential point. 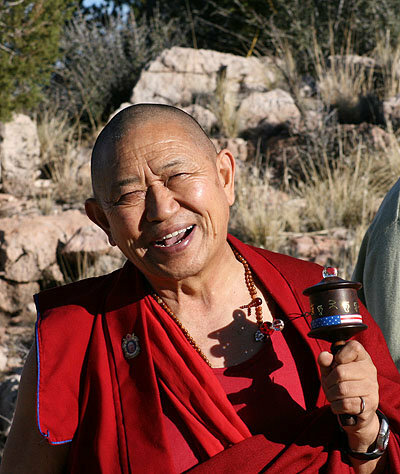 When you practice devotion, visualize the lama in front of you in space as actually residing there. The lama’s mind is Buddha, so when you supplicate, the blessing will be definite, and the lama will keep you in his or her mind. The Drikung Kagyu is called the “blessing lineage”, faith and devotion to the guru is considered to be the most important. That is because samsara and nirvana have the same ground, a single ground, and the guru has gained realization free of any doubt. When the disciple has clear faith and free of doubt, the transmission begins to flow. 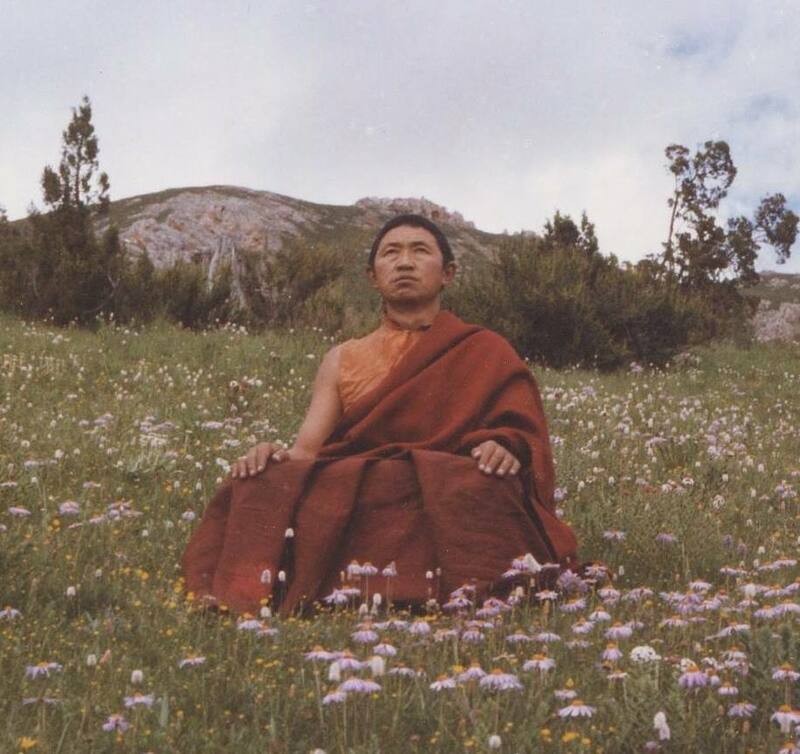 After we cultivate bodhichitta, we meditate on the Yidam Deity and through this practice we realize the nature of the external universe and the sentient beings in it. We meditate on the devotion to the guru (guru yoga). After that then we engage in the practice of Mahamudra, the ultimate truth. Through which we will be able to see the nature of mind as it is. In another word, to see reality as it is. At the end we seal it with dedication. In the Nyingma tradition we may call it Dzogchen, in the Kagyu tradition we may call it Mahamudra, in the scholarly tradition we may called it Madhyamaka or the Middle way in the sutra tradition we may call it Shamatha and Vispashyana. From the perspective of the practice, when you just engage in a practice of one single session for one hour, five-fold-path must be completely contained with in this one hour of practice. All practice must begin with taking refuge, altruistic mind generation, Yidam Deity, Guru Yoga, Mahamudra and seal with dedication. What ever we do, even with just one single mani mantra, the five-fold-path must also be contained. That is called the “five fold path”. 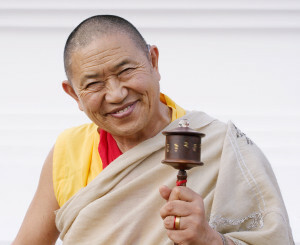 We have all heard that all Buddish practices have bodhichitta as their root. 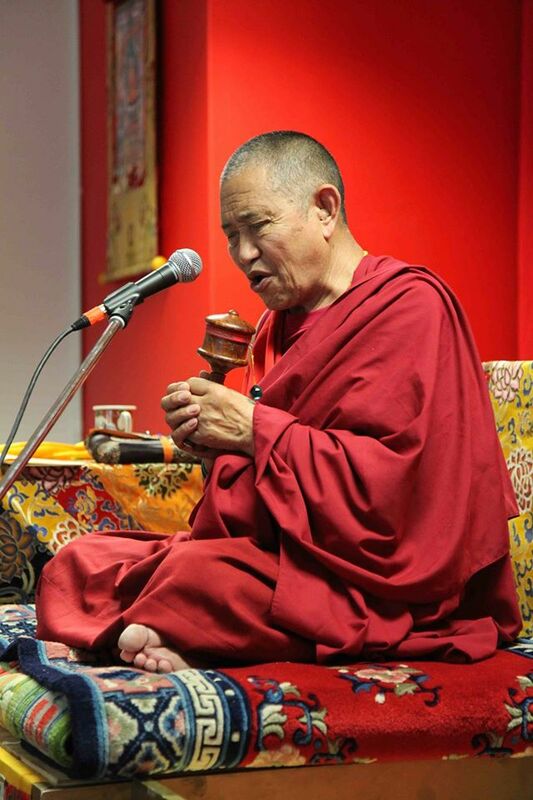 Without bodhichitta there is no dharma practices, all practices must grounded in bodhichitta. In the beginning, we must cultivate “relative bodhichitta” and practice the creation stage of Yidam meditation. 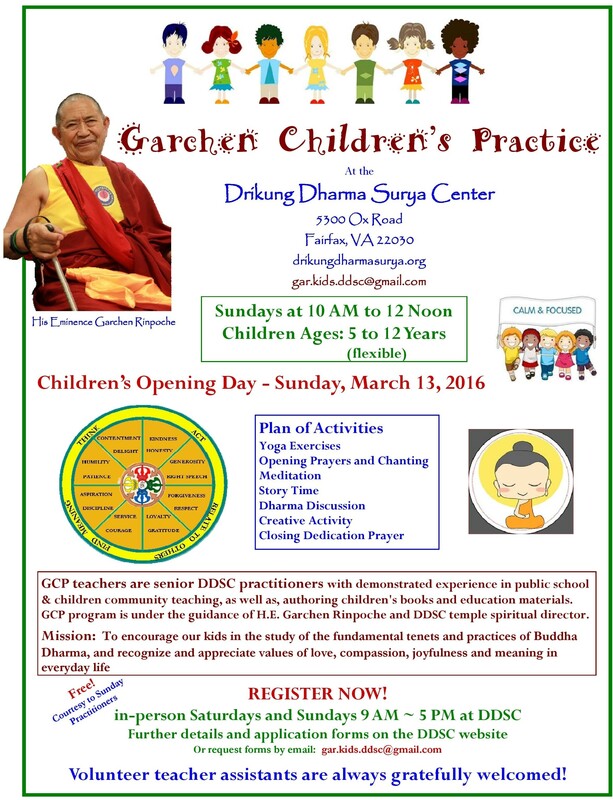 The Drikung Kagyu is called the “blessing lineage”, faith and devotion to the guru is considered to be the most important. Following the virtuous path requires faith. Without faith, virtue cannot develop in one’s being. What is faith? The Jewel Liberation listed three types of faiths: trusting, longing, and clear. Cannot understand the Buddha’s enlightenment. Therefore, one should develop faith. I. Trusting Faith. Understand that this faith depends on the topic “cause and result”—the Truth of Suffering which comes from the Truth of Causation. Furthermore, it comes from trusting that happiness in the desire world is the fruit of virtuous causes. Trust that the suffering of the desire world is the result of nonvirtuous action. Trust that the happiness of the two higher realms is the result of unshakable causes. Trust that by engaging in the nonvirtuous actions of body, speech, and afflicting emotions, which are called the Truth of Causation, one obtains the five afflicted skandas, which are called the Truth of Suffering. II. Longing Faith. Understanding the extraordinary nature of unsurpassable enlightenment, one follows the path with respect and reverence in order to obtain it. III. Clear Faith. Clear faith arises in one’s mind by depending on the Three Jewels. Develop devotion for and interest in the Buddha as the teacher who shows the path, the Dharma which becomes the path, and the Sangha which guides one in order to accomplish the path. What is faith? It is trust, longing, and clarity regarding cause and result, truths, and the Three Jewels. What is devotion? The literal meaning of “devotion” in Tibetian is “mogu”, “mo” means to aspire — aspire to gain liberation from the suffering of samsara for ourself and for others. “gu” means to show respect to the holy dharma teaching. So what do we do? We aspire to gain liberation, we listen to the instruction, we put the instruction to practice. 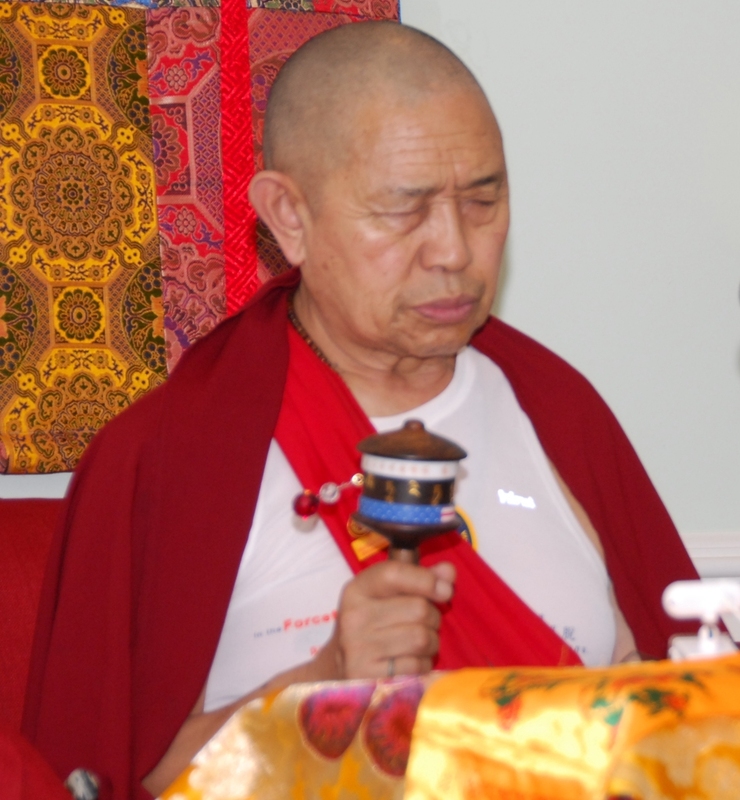 We study the dharma, we practice the instructions that is given to us by our teacher. That is called “faith and devotion”. To understand sacred commitments related to Vajrayana empowerments, it is necessary to place them in the general context of Buddhist vows. Those who follow Buddha’s teachings begin the path by first taking the refuge vows, placing themselves under the protection of the Three Jewels, the Buddha, Dharma, and Sangha. It is then possible, if the disciple has personal aspiration, to take the vows of a lay person (Sanskrit, upasaka; Tibetan, genien). They can be taken at once or partially, for a complete lifetime or a definite duration of months or years. Taking these vows is not an obligation. In many Buddhist countries, men and women, without taking them formally, try to respect the ethical ideal that they represent by avoiding the ten negative acts and by practicing the ten positive acts. Historically, it was often the case that kings governing these countries were eager to integrate the essentials of this ethic into their legislation. On a more elaborate level, lay people will practice refraining from sexual misconduct by being chaste. The practitioner is then called brahmacharya (Tibetan, tsangcho genien). Then come the monastic vows: minor ordination (Sanskrit, shramanera; Tibetan, getsul) and major ordination (Sanskrit, bhiksu; Tibetan, gelong). to which the women students (Tibetan, gelopma) are added, representing a type of vows reserved for women. In Tibet the monastic vows-shramaneras and bhiksus-were taken for life. It was not conceivable that the person who had taken monk’s robe could leave it in his lifetime. In Burma, Thailand, Sri Lanka, and in other Buddhist countries, the same vows can be taken for a lifetime, but also for limited periods of weeks or years. These two approaches are not contradictory, as both seem to have been envisaged by the Buddha himself. In Thailand, the custom of temporary monastic vows has even been institutionalized. It is a duty for young men and women to devote at least few months of their existence to monastic life, by taking vows allowing them to live in a monastery. At the end of this period, those who wish can renew their vows and definitively adopt monastic life. submit to it would have difficulty in getting married, because there would be a question as to whether they possess the moral qualities and necessary rigor to manage a family. The different types of vows defined under the expression of individual liberation vows belong to the Hinayana. In the Mahayana, there is another type of vows called bodhisattva vows, that are transmitted by various authentic lineages.